Rochester, Minn. – Former La Crosse Logger Max Scherzer of the Detroit Tigers was the winning pitcher for the American League in Tuesday night’s MLB All Star game. Scherzer pitched in La Crosse during the 2004 Northwoods League season. This marks the second year in a row that a former Northwoods League pitcher was the winning pitcher in the MLB All-Star game. The former Logger pitched one inning and allowed one hit while striking out two. Scherzer started the inning by getting Pirates outfielder Andrew McCutchen to ground out to third base. He then got Yasiel Puig of the Dodgers to strike out swinging before giving up a two out double to Troy Tulowitzki of the Rockies. Scherzer then got Diamondbacks first baseman Paul Goldschmidt to strike out swinging to end the inning. Another former Logger, Chris Sale of the White Sox, pitched one inning and allowed one run on one hit while striking out one. Sale pitched for the Loggers during the 2008 season. Sale was the winning pitcher for the American League in the 2013 MLB All-Star game. Making his first All-Star game appearance was former Woodchuck Pat Neshek. Neshek pitched for the Woodchucks during the 2000 season. Pat pitched a third of an inning in the All-Star game and allowed two runs on three hits and was stuck with the loss. Glen Perkins of the Minnesota Twins had signed to play in the Northwoods League in 2003 with the Woodchucks but never appeared in a game. Perkins closed out the game for the American League as he pitched one inning and allowed no hits or runs and struck out one to earn the save. Former Eau Claire Express pitcher Jordan Zimmermann was a National League All-Star but did not make an appearance in the game. The Northwoods League is the proven leader in the development of elite college baseball players. The 20-year old summer collegiate league is the largest organized baseball league in the world with 18 teams, drawing significantly more fans, in a friendly ballpark experience, than any league of its kind. A valuable training ground for coaches, umpires and front office staff, 120 Northwoods League players have advanced to Major League Baseball, including Cy Young Award winner Max Scherzer (DET) and MLB All-Stars Chris Sale (CWS), Jordan Zimmermann (WAS), Curtis Granderson (NYM), Allen Craig (STL) and Ben Zobrist (TB). 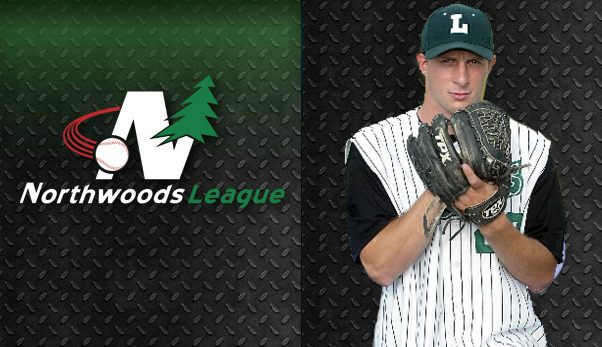 All league games are viewable live via the Northwoods League YouTube channel. For more information, visit www.northwoodsleague.com.